Trust Autocarry to transport your car from New Jersey or New York to South Florida. Providing trustworthy and affordable snowbird auto transport since 1983. Do you need to transport your car, truck, SUV or minivan across the country? Are you visiting friends and family for an extended period and would like to ship your car to your destinaton? Are you staying in your winter home and want to bring your vehicle? Contact Autocarrry for your Snowbird transportation needs. Since 1983 we’ve been transporting cars from New York and New Jersey down to South Florida. Let us transport your car from the cold winter down to sunny Florida. We’ll even deliver your car directly to your address. We offer door to door delivery service of your vehicle. 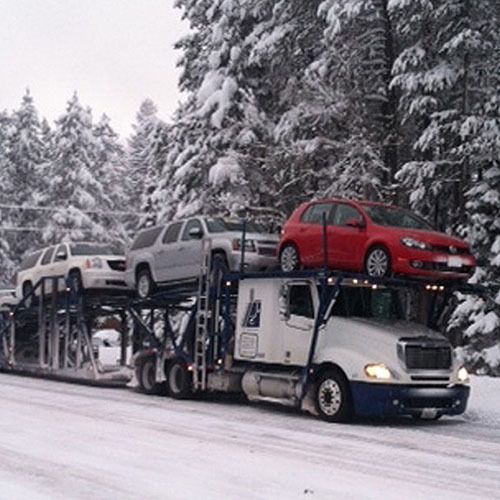 Since 1983, autocarry.com has been a family-owned-and-operated car carrier business. We specialize in East Coast transporting, but we can ship anywhere in the continental United States any time of year. Snowbird Specials are available for East Coasters who need to get their car down to Florida for the winter and back up for the summer. Auto Carry has been a family owned and operated business since 1983. We’re a multigenerational company with offices in New Jersey and South Florida. Our entire team cares about providing our customers with exceptional service every time. Here at autocarry.com, we think it is essential to help our customers put a face with a name, so you can know exactly who you are talking to on the phone. By connecting with our customers, we are able to make the experience more personal when assisting with vehicle towing in North Bergen, NJ and Pompano Beach, Florida. Do you have a cross-country move planned? It can be a hassle having to drive that distance in your own car and cause a lot of unnecessary wear and tear. With our long-distance vehicle transport services, you can leave the logistics—and the driving—to us. Our team is fully licensed and insured, so you can be sure your car is in safe hands during your move. We also offer more traditional towing solutions locally. Our goal is to get your car from point A to point B safely and on time, no matter where point B happens to be. We have been in the towing business for more than three decades. During that time, we’ve kept up-to-date with innovative technology that allows us to provide more efficient services for our customers. But one thing that hasn’t changed is our dedication to excellence. We’ve constantly assessed the ways our services match your vehicle transportation and storage needs. Let us know where you want to send your car and we’ll give you a no-obligation estimate. Contact us today to learn more about our staff. We proudly serve customers in North Bergen, New Jersey, and the surrounding communities as well as Pompano Beach, Florida and the entire South Florida region.